Well good morning! 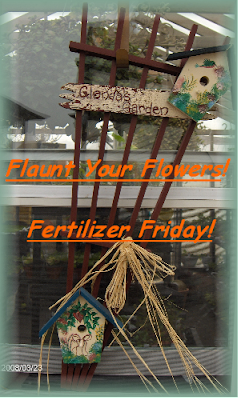 It's Fertilizer Friday again over at Tootsie's place. Pop over and check out all of the beautiful gardens on display. Hope you're feeling better Tootsie! I'll be doing my actual fertilizing later this evening or tomorrow - when things cool down a bit. Otherwise I would have to get up at 4:00 a.m.! It's still pretty darned hot, but at least the last few days haven't been quite as oppressive heat-wise as those days earlier this week. Whew - that was really rough!! Isn't that hilarious?? Well, whatever works, right?! I go out early - check to see if any of the soil is dry, then I give everybody a spray down with the hose. Then I go out again around 11:30 and start putting up umbrellas and see if anybody is looking like they're wilting. Then I usually spray again. Then about 1'ish I check again and either water or spray or both. Then about 2:30 or so, the umbrellas come off so the veggies can get some more sun. It's like a full time job! As I mentioned before, I tried planting some giant Del Sol and even Sky Scraper Sunflowers before, but the squirrels always found them, dug them up and ate them! This year though, they gave me some volunteer sunflowers plants that they planted from the seeds that I feed them. This one is over 4 feet tall and I have been waiting for it to open, so I was excited to see it finally starting to unfurl! The knockouts have been slow coming this year for some reason. One shrub bloomed well, but the others have only shown a bloom or two here and there. Odd. Sorry for the haze ... it is near impossible to get pictures outside right now. The only surviving Southern Charm Verbascum that I moved to the backyard earlier this season has held on to the same blooms for weeks. At least it survived the move! And look Tootsie! The purple plant, which is either a Moses in a Boat, or a Purple Heart, did finally bloom! This was also moved from another garden this year, so I didn't even know that it would bloom. And last... Santa Rosa Gardens in Pensacola, Florida was having a clearance sale - I was able to buy a box full of perennials - 26 plants - for $50. I'll have to do a post for Santa Rosa Gardens because I have been buying from them for a couple of years, and I am so impressed with them. Their plants are such healthy, quality plants, they pack everything well, and all of this arrived in fantastic condition despite traveling the roads for several days during the hottest days of the year! Their clearance sale is a great time to buy perennials. If you visit click on the tab in the upper left hand corner "Now on Sale." I just hope that I can get them in the ground and keep them healthy in this heat! Gotta go buy some dirt mix, so for now I'm holding them in baskets and keeping 'em hydrated. Once I get them in the ground I'll feature the plants. Sorry I don't have anything to show but be sure to go to Tootsie's and visit the links because - unlike here - there are some very beautiful gardens to see there with newly featured flowers. I'm off to run errands - wish you all a wonderful, fun-filled weekend!! Keep cool. The umbrellas are so clever!! Yes it is hot, hot, hot. I with you on the running in and out to check wilting plants!!! For folks who can't afford the umbrella...black shade cloth is available at most garden centers. Supported by poles at the corners, it can be suspended over the garden area. It's reusable from one year to the next if packed carefully away. The umbrellas look delightful in your garden. I once used umbrellas to shade my plants!!! I thought I was the only lunatic that would think of it...my neighbors made fun of me for weeks! things look great there girl...oh..and I have been voting for you when I can...have not been online much last week or so...will go again today! LOL y'all... it's working, that's all I can say! So see Tootsie, you are not alone!! And I dare my neighbors to say one thing to me about it. They're all kinda crazy too anyway!! 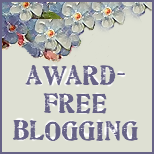 Thanks for the votes - I've been voting for your blog too. Mary is right of course - the most sensible and economical (I think??) 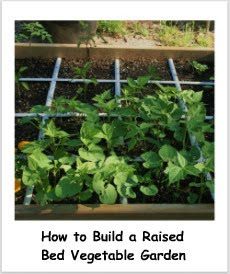 way to go would be to build a frame or drive in posts and use shade cloth. Believe it or not that's hard to come by here for some reason but we're a beach town so umbrellas, they're a plenty! And pretty cheap. I already had a few and picked up a few more. The umbrellas are working out great so that's what has worked here for me and they're movable too, so I can relocate them around the garden. Siteseer, I think doing this actually did save some of my blossoms! I was having major blossom drop on everything because that's what happens at high temperatures. Since using the umbrellas they stopped and I see new blossoms! Yay! !